Paruyr Hayrikyan, one of the eight candidates in the forthcoming Presidential election in Armenia was shot and wounded this evening in the centre of Yerevan. Armenian media is reporting that the incident took place around midnight Yerevan time. The candidate was taken to a nearby hospital and is reported to be in intensive care. Early reports say that his condition is serious. No information is yet available regarding the circumstances of the shooting. 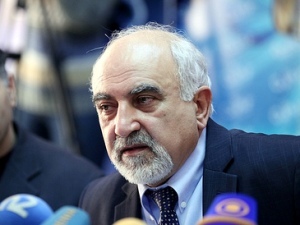 Whilst Hayrikyan is not a serious contender for the Presidency he is a well known public personality having been a dissident in Soviet times. Azerbaijan: testing the boundaries of the political space.